This Saturday night there are two costume parties in town. With a little planning, you can go to both. 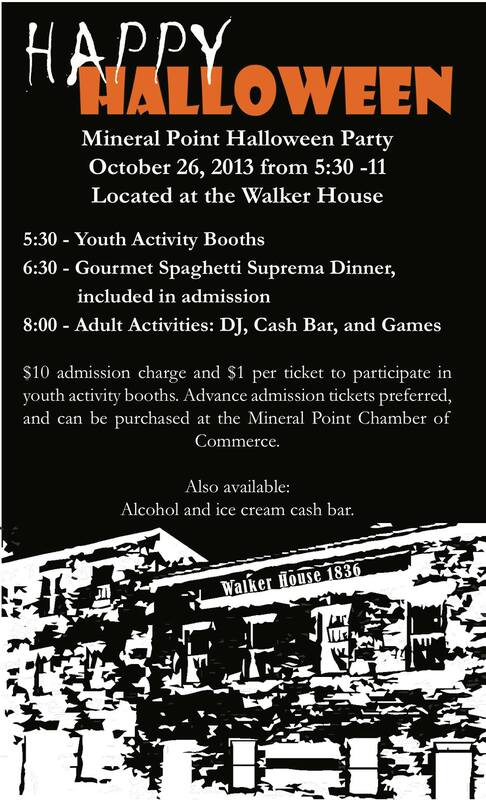 Beginning at 5:30, The Walker House hosts the Chamber of Commerce family friendly Halloween Party! Walker House owners Kathy and Dan Vaillancourt say “the ghosts have left the building.” Come to the party and see for yourself. 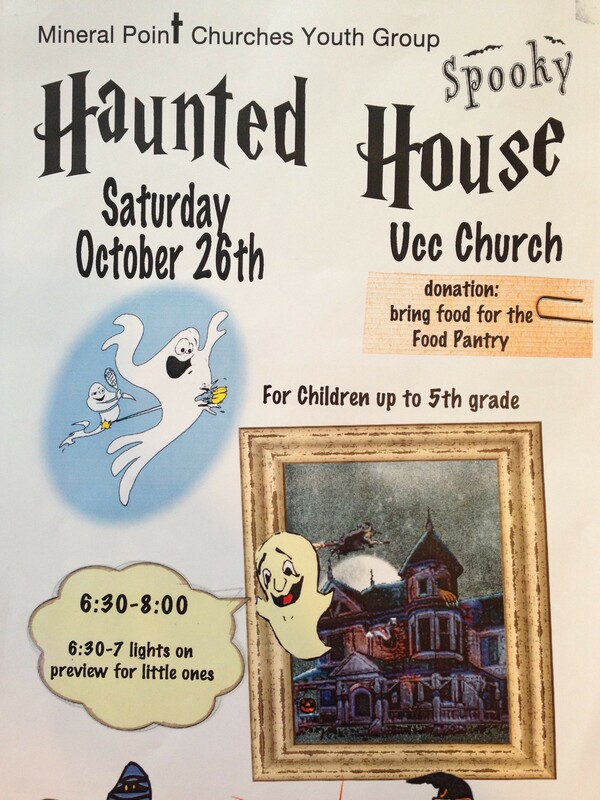 Beginning at 6:30, children are invited to the Youth Group’s Haunted House at the UCC Church. Admission is free, but a canned good donation for the Food Pantry would be appreciated. Dare to tour the spooked-up basement, complete with zombies and other frightening sights. A lights on preview for the little ones is offered from 6:30-7pm. So, pick out a costume and have a big night on the town! By the time the Youth Group’s Haunted House ends at 8pm, the Walker House DJ (rumored to be Dr. Aaron Dunn), will be just getting started. And the alcohol and ice cream cash bar will be in full swing. You can even stay all night at the Walker House by booking one of their 9 guest rooms, which have received rave reviews on tripadvisor. None of the reviewers mentioned a ghost, so perhaps it’s true that the ghosts have left the building. This entry was posted in General, Lodging, Upcoming Events and tagged Ghosts, Halloween, Mineral Point WIsconsin, Walker House. Bookmark the permalink.